These are troubling times for those who like to classify organizations into comfortably familiar, watertight categories. In fact, there is a new class of entrepreneurs, often operating below the market and policy radar, that is pioneering new, disruptive modes of innovation. And they are addressing the social and environmental concerns that public policy is currently struggling to tackle. 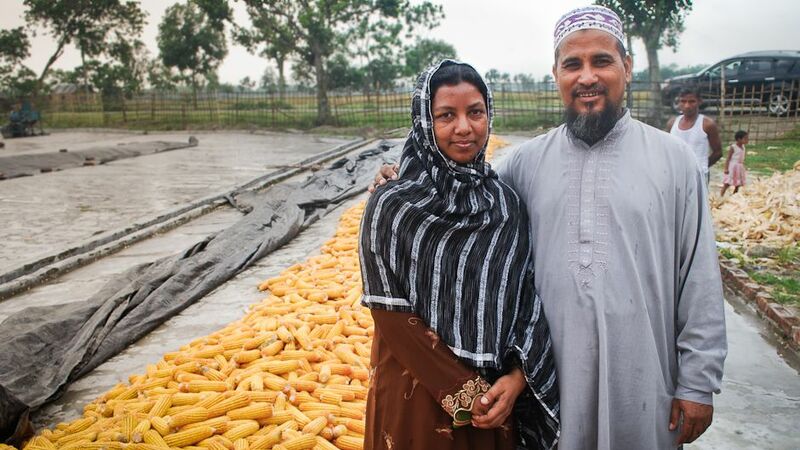 Take for instance the Bangladesh Rural Advancement Committee, better known as BRAC. This is a non-governmental organization with a mandate of “empowering people and communities in situations of poverty, illiteracy, disease and social injustice”. But BRAC is also an NGO that is a major value chain player involved in both input supply and agro-processing. It poses serious competition to private agro-industries, yet it services the needs of its poor clientele. BRAC flags social entrepreneurship as one of its key strategies. The Real IPM Company in Kenya makes its money producing and selling bio-pesticides to the commercial horticultural sector in East Africa. Not only is its philosophy deeply green, but it has recently moved to capitalize on a new and large market opportunity: poor farmers. In collaboration with the UK Department for International Development’s Research Into Use programme, the Real IPM Company is developing a network of village-based advisers to help promote and sell a bio-pesticide to combat striga, a parasitic weed of the food-staple crop maize, to small-scale farmers. 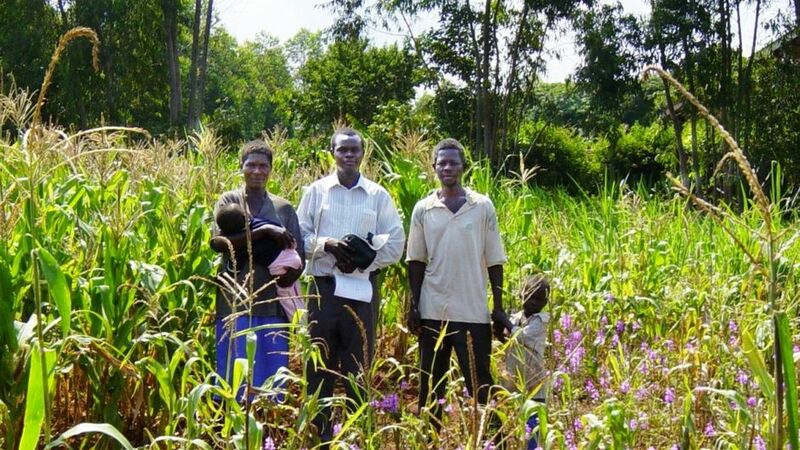 Researcher and farmers standing in a maize field infested by striga. Photo by International Institute of Tropical Agriculture. Farm Input Promotions (FIPS) has styled itself as a non-profit company and negotiates access to new crop varieties developed by national agricultural research organizations in East Africa. It also works with input supply companies, persuading them to produce micro-seed and fertilizer packs that small-scale farmers can afford. Well Told Story Ltd. is a Kenyan company with a multimedia platform (print, internet and radio) that it uses to both sell advertising space to soft drink and mobile phone companies, and to raise revenue from development agencies for communicating agricultural development messages. Do these sorts of organizations offer new avenues for innovation capacity building at a time when the idea of constructing pro-poor innovation systems is starting to run into the sand? To answer this, it is first useful to go back and look at what the innovation systems idea has had to contribute, and where it has got stuck. The greatest contribution of the innovation systems idea to agricultural and rural development is conceptual. It has helped planners reconsider the location of agricultural research within dynamic processes of innovation, and it has revealed the importance of linkages needed to connect research to others involved in this process. The innovation system idea is not a new blueprint for how to organize innovation, but a metaphor to explain the vast diversity of ways of organizing innovation for different purposes and in different contexts. But how can its central message of distributed (rather than centralized) creativity be taken forward to address social and environmental sustainability aspects of the international development agenda? A number of operational strategies have been suggested to help strengthen linkages and coherence in different areas of action and policy. Many of these hinge upon the idea of public–private sector partnerships and, more generally, the role of the private sector as a driver of the innovation process. In practice, partnership building has proven difficult. Even in cases where new alliances have been developed, the real sticking point is the governance of these to direct innovation towards a social and sustainable development agenda. This seems to be the area where innovation systems ideas are reaching their limits as a guide to practice. What lies below the radar? The glaring paradox is that while we have been struggling to construct grandly titled pro-poor agricultural innovation systems, modes of socially relevant and sustainable innovation have been going on all around us for many years. BRAC, the Real IPM Company, FIPS, and Well Told Story are part of an expanding diversity of such initiatives — some ancient, some modern — ranging from the Chipko women’s environmental protection movement in India, Systems of Rice Intensification (a low-input approach to rice production innovation), the micro-finance approach of Mohammed Yunus in Bangladesh and the Intermediate Technology philosophy of Schumacher to the Campaign for Real Ale in the UK and many, many more. (See this initiative that is trying to map base-of-the-pyramid social enterprises globally). To varying degrees, all of these initiatives disrupted existing modes of production and innovation. Yet many initiatives of this sort take place — due to perception and analytical reasons — out of sight and below the market and policy radar. Of course, many simply fail, and only a fraction of initiatives come to national or international prominence despite the opportunities that these present for both profit and social change. Have we, then, misunderstood what really drives innovation, and ended up overlooking major hotspots of creativity? Having remembered this other world of pioneers and prophets, it now seems all too obvious that there are many challenges and opportunities in agriculture and rural development that conventional market-led innovation will not address, but are, nevertheless, important for social and environmental reasons. At this point, it is worth going back to some of the early writing on innovation in the 1930s by Austrian economist and political scientist Joseph Schumpeter. He pinpointed entrepreneurship as the key creative force, talking in terms of a continuous process of disruption; doing something different for gain; and creative destruction of the old to bring in the new. Sounds familiar? Other than taking risks, what does entrepreneurship involve? It means being responsible for the marshalling of ideas, resources, people, processes, institutions and policy to effect new outcomes. Of course, these are precisely the sort of processes that the innovation systems idea has been advocating, but struggling in a misguided attempt to orchestrate. Having recognized that it is entrepreneurship, generally, rather than the private sector or companies, specifically, that we are interested in, this then allows us to see different forms of entrepreneurship and innovation and the potential for synergies between them: market entrepreneurship (for profit), social entrepreneurship (for social change) and environmental entrepreneurship (for environmental change and protection). As the social entrepreneurship literature is keen to point out, these distinctions hide the fact that social enterprises often encompass market and environmental agendas. They can also include researchers acting as social entrepreneurs because they have seen a way of making their science count. What is interesting, however, is that a growing class of entrepreneurs is pioneering initiatives that explicitly occupy the intersection between market, social and environmental concerns. Those mentioned at the beginning of this article fall into this category. This sort of hybrid, below-the-radar entrepreneurship should not be confused with corporate social responsibility. Rather, it includes organizations explicitly aiming to be for-profit and for-a-difference simultaneously. What is critical here is that these entrepreneurs are not necessarily profit-maximizers, but individuals and groups happy to live with the trade-offs between making a profit and making a difference. They often have iconoclastic tendencies, challenging what they see as the foolish ways of old. The growing visibility of these below-the-radar entrepreneurs is driven by various factors. First, we are reaching the limits of the effectiveness of the corporate sector’s capability to innovate in response to large markets of poor people (and the opportunities that this opens up for alternatives). There are also limits to existing modes of innovation in environmentally fragile production zones. Further, there is a global shift underway in the center of innovation gravity from the Northern corporate world to new areas of economic and social dynamism in the South. Raphael Kaplinsky and colleagues at the Open University in the United Kingdom argue that these new disruptive modes of innovation are going to assume prominence in India and China, and that this may have global implications. The way forward is to start to pay much more policy attention to support of social and below-the-radar entrepreneurs. We should stop attempting to construct new socially relevant innovation systems. Instead we should use innovation systems principles to encourage these hybrid modes of innovation that are pioneering business models that address the most critical goals of development in most countries in the South, but in the North too. There are also opportunities here for companies and the corporate sector. Many of these below-the-radar entrepreneurs are employing new business models that are finding ways to access large markets of poor people — a task, which for reason of size, structure and perspective, many large companies have not been able to achieve. These models are likely to be very attractive to companies that have reached the limits of market share in existing markets. This implies some broad shifts in policy in support of innovation, such as supporting a diversity of entrepreneurs and modes of entrepreneurship occupying a multitude of niches, rather than looking for pilot models that can be copied and transferred with an aim of new “industry standard” approaches. Further, innovation is largely self-organizing (at least at first) and is driven by entrepreneurship; policy, therefore, needs to play a supporting role because incubation and the creation of spaces for early stage entrepreneurial activity will be much more important. The ultimate paradox is that while we have been musing about the shape of agricultural innovation systems of the future, if only we had been able to see them we would have realized that they have been with us all along. The challenge now is to find ways of structuring support for ever-shifting patterns of innovation in which the organizational categories of the 20th century are rapidly becoming irrelevant. This is an abridged version of an article originally written for LINK Look, a publication produced by Learning, INnovation and Knowledge (LINK), a joint initiative of UNU-MERIT and FAO. Below the Radar Innovation and Entrepreneurs by Andy Hall is licensed under a Creative Commons Attribution-NonCommercial-ShareAlike 3.0 Unported License. Professor Andy Hall joined the United Nations University Maastricht Economic and Social Research Institute on Innovation and Technology (UNU-MERIT) in April 2004. He works on agricultural innovation policies and process and coordinates the Learning Innovation and Knowledge initiative. He is currently a visiting professor at the Open University in the United Kingdom where he is developing new lines of research on alternative modes of innovation with social relevance. I agree with you wholeheartedly about finding ways to better support such exciting ‘under-the-radar’ (of much science and innovation policy) initiatives, but wonder about where you think the governance piece fits in more explicitly. You say ‘the real sticking point is the governance of these to direct innovation towards a social and sustainable development agenda’. I’d like to know whether you see broadening participation in agenda-setting as one important facet of bringing closer attention to these sometimes overlooked creative entrepreneurs, or what (other) opportunities you see for addressing the governance question you raise. All types of synthesis have to be promoted in order to re-invent the present…nurturing seeds, communicating on new ideas and building strong partneship in order to reduce escalations and damages to the environment. Link the dots.